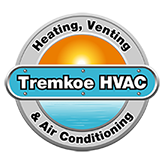 We have been providing complete HVAC services to clients in Whatcom County for over 18 yrs. We offer reasonable rates for quality work delivered on time and on budget. Located in Bellingham, Washington, we work for both residential and commercial clients in areas throughout the Lower Mainland, from Whatcom County to Samish Island, from Sumas to Semiahmoo, Sudden Valley & beyond. Whether completing new construction, making a furnace repair, installed a new Ductless unit or fixing a water heater, we take personal pride in the quality of our workmanship — from the quality of air entering your home to leaving the work space clean at the end of the day.